A pharmacy technician may assist a pharmacist in the practice of pharmacy by performing nonjudgmental tasks and works under the personal and direct supervision of the pharmacist. A pharmacist may supervise two technicians, as long as the pharmacist assumes responsibility for all the functions performed by the technicians. 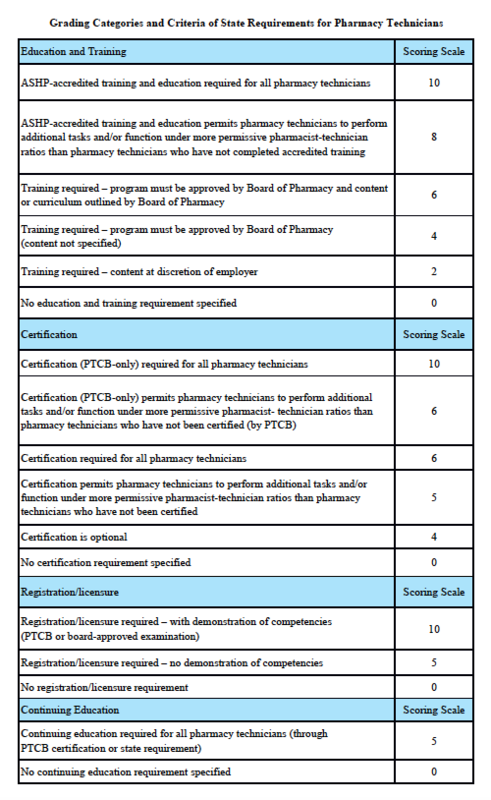 A pharmacy may exceed the ratio of pharmacy technicians to pharmacists permitted in this subdivision or in rule by a total of one technician at any given time in the pharmacy, provided at least one technician in the pharmacy holds a valid certification from the Pharmacy Technician Certification Board or from another national certification body for pharmacy technicians that requires passage of a nationally recognized, psychometrically valid certification examination for certification as determined by the Board of Pharmacy. The Board of Pharmacy may, by rule, set ratios of technicians to pharmacists greater than two to one for the functions specified in rule. The delegation of any duties, tasks, or functions by a pharmacist to a pharmacy technician is subject to continuing review and becomes the professional and personal responsibility of the pharmacist who directed the pharmacy technician to perform the duty, task, or function. Subd. 2.Waivers by board permitted. A pharmacist in charge in a pharmacy may petition the board for authorization to allow a pharmacist to supervise more than two pharmacy technicians. The pharmacist’s petition must include provisions addressing the maintenance of patient care and safety. A petition filed with the board under this subdivision shall be deemed approved 90 days after the board receives the petition, unless the board denies the petition within 90 days of receipt and notifies the petitioning pharmacist of the petition’s denial and the board’s reasons for denial. The board shall not register an individual as a pharmacy technician unless all applicable fees specified in section 151.065 have been paid. Pharmacy technicians may be used in performing pharmacy tasks not specifically reserved in this chapter to a licensed pharmacist only when the technician is properly registered with the board. An individual may not, under any circumstances, perform pharmacy tasks as a pharmacy technician prior to being registered as a pharmacy technician according to this part. Registration does not include any determination of the competency of the registered individual. Subp. 1a. Denial and suspension of registration. The board may deny, suspend, revoke, refuse to renew, or place conditions and limitations on the registration of a technician for any violation of the rules of the board or the laws of this state, another state, or the United States relating to the practice of pharmacy, prescription drugs, or controlled substances. A. A pharmacy technician registration expires each year on December 31 and shall be renewed annually by filing an application for registration renewal on or before December 1 of each year, together with the fee listed in subpart 1c. B. Initial registration shall not be prorated. Subp. 1c. Registration fee, late fee. A. The fee for an initial registration is the amount established in Minnesota Statutes, chapter 151. B. The fee for each annual renewal is the amount established in Minnesota Statutes, chapter 151. C. The fee must be paid at the time when a new application or a renewal application is submitted to the board. D. Persons required to renew their registration under this part, who file an application which is received by the board after the date on which it is due, must pay a late fee of 50 percent of the renewal fee in addition to the renewal fee. Subp. 1d. Notifications to board. A pharmacy technician must report any changes in name, residence, or place of employment to the board within ten days of the change. Subp. 1e. Identification of technician. A. A pharmacy technician must wear a name badge while on duty which clearly identifies the person as a “Pharmacy Technician,” except when complying with the requirements of United States Pharmacopeia Chapter 797. B. Pharmacy technicians must not represent themselves as pharmacists in any manner. Subp. 1f. Posting of registration. A pharmacy technician shall post the registration most recently issued by the board in a conspicuous place within the pharmacy in which the technician is working. For all pharmacies, this place shall be a place which is readily accessible to the board. Prior to January 1, 2012, the board shall not register as a pharmacy technician any individual who is less than 16 years of age. Effective January 1, 2012, the board shall not register as a pharmacy technician any individual who is less than 18 years of age. An individual who is less than 18 years of age and who was registered by the board as a pharmacy technician prior to January 1, 2012, may renew registration provided that all other requirements for renewal are met. Subp. 1h.Education and training requirements. Effective January 1, 2013, the board shall not issue an initial pharmacy technician registration to any individual who does not present the board with evidence of high school graduation or possession of a general educational development certificate equivalent. An individual who is not a high school graduate or who does not possess a general educational development certificate equivalent who was registered by the board prior to January 1, 2013, may renew the individual’s registration provided that all other requirements for renewal are met and provided the individual maintains a pharmacy technician registration on an uninterrupted basis. Any individual whose registration lapses for a period of more than one year must meet the registration requirements in effect at the time the individual applies for reinstatement of registration. (4) an employer-based pharmacy technician training program that includes a minimum total of 240 hours on a one-year period to include both theoretical and practical instruction. An employer utilizing such a program must develop and regularly update a technician training manual that must be available for board inspection upon request. The employer must also supply a technician who completes the training program with written evidence of completion. The employer-based pharmacy technician training program must include written guidelines, policies, and procedures that define the specific tasks the technician will be expected to perform. A pharmacy technician who has not completed this training, but is otherwise eligible for renewal of his or her registration, may apply for renewal provided that: less than six months has elapsed between the date of initial registration as a pharmacy technician and the date of the pharmacy technician’s first renewal of registration; or the pharmacy technician shows satisfactory evidence of being enrolled in a pharmacy technician training program offered by a board-approved, accredited vocational/technical institution or college, when the program is longer than six months in length. Notwithstanding the fact that a technician has completed a training program as specified in item B, it is the responsibility of the pharmacist-in-charge of a pharmacy to ensure that a technician receives adequate training in the tasks performed by technicians working at that pharmacy. Pharmacy technicians may perform pharmacy tasks not specifically reserved in this chapter to a licensed pharmacist or pharmacist-intern and that do not involve the use of professional judgment. Pharmaceutical products prepared or processed, in whole or in part, by a pharmacy technician must be certified for accuracy by a licensed pharmacist, practitioner, or pharmacist-intern as provided for in part 6800.3100, subpart 1, item F, prior to release for patient use. Written procedures for the use of pharmacy technicians in a pharmacy shall be prepared by the pharmacist-in-charge. A copy of the procedures must be given to each technician and a copy must be kept on file in the pharmacy. The written procedures must be made available for inspection by the board upon request. These procedures must comply with the standards in this chapter and will be reviewed for compliance on that basis. These procedures must indicate in detail the tasks performed by the pharmacy technician; the name, address, and registration number of the pharmacy technician; and the certification steps performed by the licensed pharmacist in verifying the technician’s work. Procedures must be updated at least every five years and whenever a significant change in the way in which pharmacy technicians are utilized occurs. The pharmacist-in-charge shall ensure that each technician has reviewed the procedures when the technician is first employed by the pharmacy as a technician and when any substantial changes to the procedures have been made. The pharmacist-in-charge must ensure that proper documentation of training is maintained in the pharmacy for a period of at least two years after the training occurs. Pharmacy technicians shall be supervised by a licensed pharmacist stationed within the same work area who has the ability to control and is responsible for the action of the pharmacy technician. The ultimate responsibility for the actions of a pharmacy technician working under a licensed pharmacist’s supervision shall remain with the licensed pharmacist. D. compounding (part 6800.3300), 3:1. Subp. 7. Persons not included. Personnel used solely for clerical duties such as typing or keyboarding that does not involve prescription data entry, record keeping, filing, billing, and completing sales transactions need not be included when determining compliance with the ratios listed in this part. Personnel used solely for the delivery of filled prescription drug orders need not be included when determining compliance with the ratios listed in this part. A pharmacist-intern submitting hours toward completion of the 1,600-hour requirement is not considered a pharmacy technician for the purpose of determining the number of pharmacy technicians supervised by a licensed pharmacist. The use of pharmacy technicians in the performance of delegated tasks not included in written procedures may be considered unprofessional conduct on the part of the pharmacist supervising the technician, the pharmacist-in-charge, and the pharmacy technician. Falsification of any documents pertaining to the training of pharmacy technicians shall be considered unprofessional conduct on the part of any pharmacist or pharmacy technician involved in such act. A. “Approved continuing education” means those continuing pharmacy or pharmacy technician education programs approved by the board or made available by an approved provider. These programs may take the form of classes, conferences, correspondence study courses, institutes, lectures, professional meetings, programmed learning courses, journal readings, seminars, study groups, or other program formats commonly accepted by educators as legitimate adult educational activities. B. “Approved provider” means any association, corporation, educational institution, organization, group, or person who has been recognized by the Board of Pharmacy, in accordance with subpart 3, as having met its criteria indicative of the ability to provide quality continuing education programs or who has been recognized by the board as being approved by the Accreditation Council for Pharmacy Education (ACPE) for the provision of quality continuing education programs. (4) legal, psychological, and socioeconomic aspects of health care delivery. “Continuing pharmacy technician education” is a planned learning experience beyond initial technician training designed to promote the continued development of the knowledge, skills, and attitudes that enable a technician to adequately perform the tasks that a technician is allowed to perform under this part. Subp. 2. Minimum hours required for pharmacists; reporting. 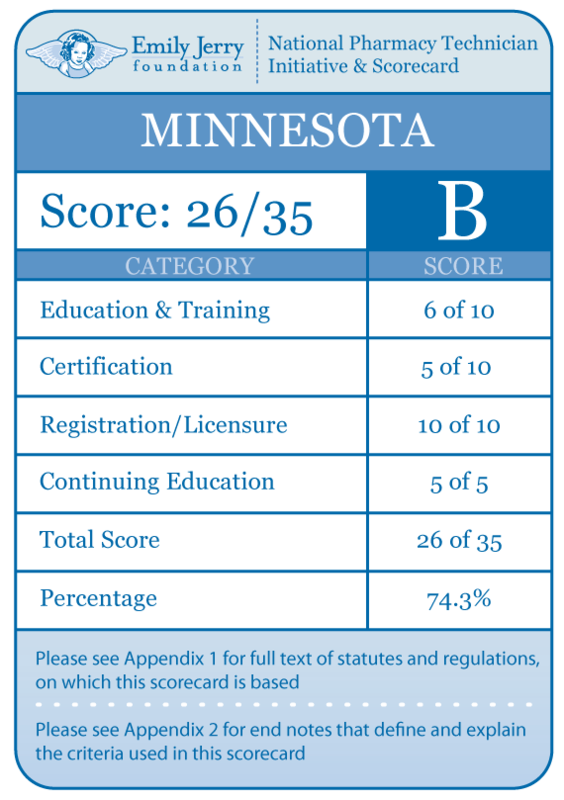 Beginning March 4, 1975, no annual license renewal shall be issued to a pharmacist under Minnesota Statutes, section 151.13, until the pharmacist has submitted to the board satisfactory evidence that the pharmacist has completed at least 30 hours of approved continuing education during the previous two-year period. Thereafter, a pharmacist shall submit the evidence every two years. Pharmacists exempted from the payment of all renewal fees and from the filing of any application for renewal under Minnesota Statutes, section 326.56, subdivision 2, shall also be exempted from the requirements of this subpart for a concurrent period of time. Beginning with the 1981-1983 reporting period, participation in continuing education shall be reported by September 30 of each even-numbered year. The board may grant a pharmacist, on application, an extension of time not to exceed one year to comply with the requirements of this subpart. The extension shall not relieve the pharmacist from complying with the continuing education requirements for any other two-year period. Each pharmacist is responsible for maintaining a complete record of the pharmacist’s continuing education participation during each continuing education reporting cycle. Subp. 2a. Minimum hours required for technicians; reporting. A pharmacy technician’s registration renewal for calendar year 2014 shall not be issued unless the technician has completed 20 hours of approved continuing pharmacy technician education during the two-year period between August 1, 2011, and July 31, 2013. Thereafter, no annual pharmacy technician registration renewal shall be issued unless the technician presents the board with satisfactory evidence of completion of 20 hours of approved continuing pharmacy technician education per two-year reporting period. Each reporting period shall end on July 31 of odd-numbered years. Continuing education must focus on the competencies that the technician must carry out and the specific duties that the technician performs. Technicians exempted from the payment of all renewal fees and from the filing of any application for renewal under Minnesota Statutes, section 326.56, subdivision 2, shall also be exempted from the requirements of this subpart for a concurrent period of time. The board may grant a technician, on application, an extension of time not to exceed one year to comply with the requirements of this subpart. The extension shall not relieve the technician from complying with the continuing education requirements for any other two-year period. Each technician is responsible for maintaining a complete record of continuing education participation during each continuing education reporting cycle. Subp. 3. Approval of providers. Application may be made by an association, corporation, educational institution, organization, or person to be designated as an approved provider on forms provided by the board. The applicant shall provide, at a minimum, information regarding administrative and record keeping procedures used for past programs; a history of the content, methods of delivery, and faculty qualifications for past programs; methods of program needs assessment and development that the applicant has used; and evaluation mechanisms that the applicant has used. The applicant shall agree to maintain records of program content, evaluation summary, and attendance for at least three years following completion of each program. The application must cover the two-year reporting period for which provider approval is sought. A. The continuing education programs must have had an identifiable administrative authority who was responsible for meeting all quality criteria and for maintaining records of program content, planning, delivery, evaluation, and attendance. (3) provision of evidence to the participant, in the form of a certificate or other document, of satisfactory completion of a continuing education activity as reasonably required by the participant. (1) Advance planning that includes a statement of educational goals, behavioral objectives, or both, that are measurable. (2) Activities designed to satisfy educational needs which the board has determined to be appropriate. (3) Involvement of members of the intended audience in identifying their own continuing education needs. (4) Activities designed to explore one subject or a group of closely related subjects. If an activity involves multiple components, such as a lecture series, all segments must be devoted to integrally related subjects. (5) Appropriate mediated material and supportive instructional material. Previously offered activities, including those in mediated forms, must have been reviewed by the provider prior to being offered to new audiences, with a view toward maintaining technical quality, timeliness, and currency of content, and faculty must have had the opportunity to update material, if they desired, before an activity was offered to a new audience. D. The methods of delivery must have been consistent with the special needs of the program. E. The teaching staff for a particular continuing education activity must have been competent in the subject matter and qualified by experience or preparation to the tasks and method of delivery. F. An evaluation mechanism must have been provided to allow the participants to assess their achievement of program objectives. G. The provider must have developed and employed evaluation techniques that assess the effectiveness of the continuing education activities, and the level of fulfillment of the stated objectives, for the purpose of provider and activity improvement if indicated. Applicants with no history of program development in compliance with items A to G or with an incomplete history will be judged on their willingness and ability to comply with these criteria in the future. Subp. 3a. Approval of programs. A. The provider shall submit evidence that promotion and advertising of the program will be done in a responsible fashion. For example, the promotional material should state the educational objectives of the program, the nature of the audience for which the program is intended, the program schedule, the cost of the program and the items covered by that cost, the amount of continuing education credit that can be earned through the program, and the credentials of the program faculty. B. The provider agrees to maintain records of participation in or attendance at the program for not less than three years and agrees to make them available to the board upon request. C. The provider agrees to provide evidence to the participant of satisfactory completion of the program. (5) any mediated and supportive instructional material is designed to be used in a suitable and appropriate manner. E. The method of program delivery is consistent with the special needs of the program. F. The teaching staff appears to be competent in the subject matter and is qualified by experience or preparation to the task and method of delivery. G. An evaluation mechanism is provided for the purpose of allowing the participants to assess their achievement of program objectives. H.The provider has developed and will employ evaluation techniques that assess the effectiveness of the continuing education activities, and the level of fulfillment of the stated objectives for the purpose of provider and activity improvement if indicated. Applications for program approval must be submitted not less than 45 days prior to the commencement of the program. The board shall assign the number of credit hours to each program and shall grant approval or deny approval of such application within 60 days of receiving the application. Subp. 4. Revocation or suspension of approval. The board may deny, refuse to renew, revoke, or suspend authorization, recognition, or approval previously furnished to programs or providers if the program or provider fails to conform to its application approved by the board, fails to furnish program content as publicized, or if the program or provider violates any provision of Minnesota Statutes, section 214.12, or this chapter. Subp. 4a. Programs not previously submitted for approval. A pharmacist or pharmacy technician may apply for credit for attendance at programs not previously submitted to the board for approval provided that the pharmacist or pharmacy technician completes a continuing education program approval form, obtainable from the board, and submits it to the board within 90 days after completing the program. The applicant shall provide, at a minimum, the title, site, date, type, and length of the program being proposed for approval, a program outline, and a description of the type of evaluation mechanism used at the program. Approval of the program is subject to all the standards of Minnesota Statutes, section 214.12, and subparts 1, item C, and 3a, items B to G.
Subp. 5. Hours of credit. Credit shall be earned on the basis of attendance at or, in the case of correspondence courses, completion of a program. Credit for an identical program may be given only once to any individual during any reporting period. Subp. 6. Credit for presentation of professional lectures. Pharmacists may apply for credit for presentation of in-service training programs or lectures consisting of subjects included in the definition of Continuing Pharmacy Education. Credit for these presentations will be granted only once to any individual during any reporting period. Subp. 6a. Credit for preceptor training program. A pharmacist who applies shall be given continuing education credit for participation in any instructional program for pharmacist preceptors that is developed or approved by the board. Subp. 7. Record of approved programs. The board shall maintain a record of approved providers and approved programs including the hours of credit assigned to each program.